Consumer spending trends suggest this holiday season for retailers and logistics companies will drive an improvement of 15 per cent year-over-year. With retail sales in the US expanded 0.8 per cent in October after a strong 1 per cent gain in September, the Wall Street Journal’s Josh Mitchell reported, in the best two-month stretch of sales in at least two years. The brisk spending is a strong sign that the economy is picking up steam, with both wages and employment rising. The expansion, mostly e-commerce, proves that once again online sales are growing at triple the rate of overall retail sales. Commerce department figures show the pace of internet sales growth is accelerating with more Americans heading online to shop. Retailers and logistics operators are adjusting inventories and operations to e-commerce more than they predicted for holiday planning. From determining optimal inventory levels, to selecting the best storage methods, to ensuring inventory accuracy, the margins despite rapid growth must improve productivity and profitability through better inventory management. The basics of effective warehouse management, including techniques for determining the best material storage methods, barcoding, cycle counting, reducing damage, protecting against theft, improving housekeeping, are being questioned this holiday season. 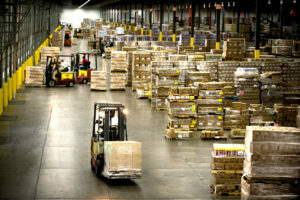 Methods for determining when stock should be replenished, including: techniques for determining future demand, the best forecast formula for each item, adjusting for unusual situations, forecasting far into the future are just some of the elements that warehouse managers in the e-commerce space are analyzing during this very busy shipping time. Determining rapid reorder quantities, including techniques for determining average lead time and safety allowances, order cycles and line points, the most economical reorder quantities, the cost of carrying inventory are all needed considerations. Without these accurate data, e-commerce warehouses will fail to verify on-hand quantities, including details on how to conduct a full physical inventory, geographic cycle count, and rank-based cycle count. As the year ends, the total 2016 retail sales across the globe will reach $22 trillion, up 6 per cent from the previous year. eMarketer estimates sales will top $27 trillion in 2020, even as annual growth rates slow over the next few years, as explored in a new eMarketer report, Worldwide Retail Ecommerce Sales. Nowhere is retail growth as great as the e-commerce sector. Nowhere is the old warehouse paradigm anachronistic. The old warehouse is no more as the radio frequency gun, constant verifications, small keypads, and hard to read screens are quickly becoming yesterday’s technology. Tablets are replacing the RF gun. New tablet-based warehouse operations systems bring warehouses into the future today. Warehouse management systems have been around for a long time with too many companies still using the RF gun to conduct inventory management, scan in new items, and pick orders. The RF gun solutions typically cost double what modern solutions, such as WarehouseOS, offer. Apps allow small or large companies to receive products, manage inventory, perform cycle counting, conduct single picks or do batch picking, verify items picked, and pack them into boxes. 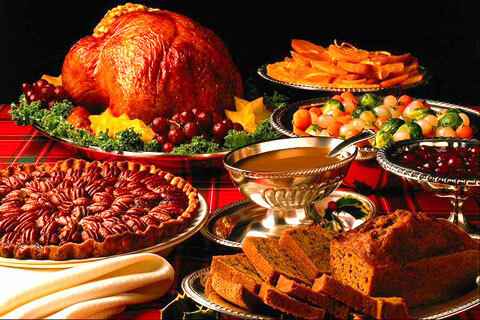 Even smaller eCommerce operations must scale rapidly during the upcoming holiday rush. A warehouse control system (WCS) acts as a real-time “command center” to ensure that the right information is available at the right time to allow the equipment to run at the speeds required in today’s operations. 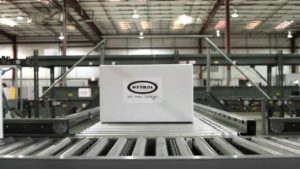 Bill Maple, director of software solutions at Hytrol Conveyor Company, says: “Customers demand product at quicker and quicker speeds, and a WCS helps to deliver those products at the pace needed by creating a more flexible operation that will allow greater speed and efficiency. In a situation where a truck is being loaded from a shipping sorter, a WCS communicates the number of cartons shipped to each route and the number of times products were recirculated due to the downstream conveyor being full. A WCS provides item-by-item tracking as product flow through the warehouse facility is measured, reported, and managed. WCS is a no-brainer for lean supply chain initiatives because of business-rule-driven designs. When business rules dictate how the software is configured, it is much easier to create those rules that reduce waste in a process and refocus on customers. A warehouse control system is an automation tool for the material handling industry to create and monitor faster and more efficient processes. A month from now we will know if these were indeed Happy Holidays for consumers who expect every order to be filled accurately and shipped immediately. Thomas R. Cutler is the President & CEO of Fort Lauderdale, Florida-based, TR Cutler, Inc., (www.trcutlerinc.com). Cutler is also the founder of the Manufacturing Media Consortium including more than 6000 journalists, editors, and economists writing about trends in manufacturing, industry, material handling, and process improvement. Cutler authors more than 500 feature articles annually regarding the manufacturing sector and is the most published freelance industrial journalist worldwide. Cutler can be contacted at trcutler@trcutlerinc.com and can be followed on Twitter @ThomasRCutler.